In 2015 we opened a new facility. 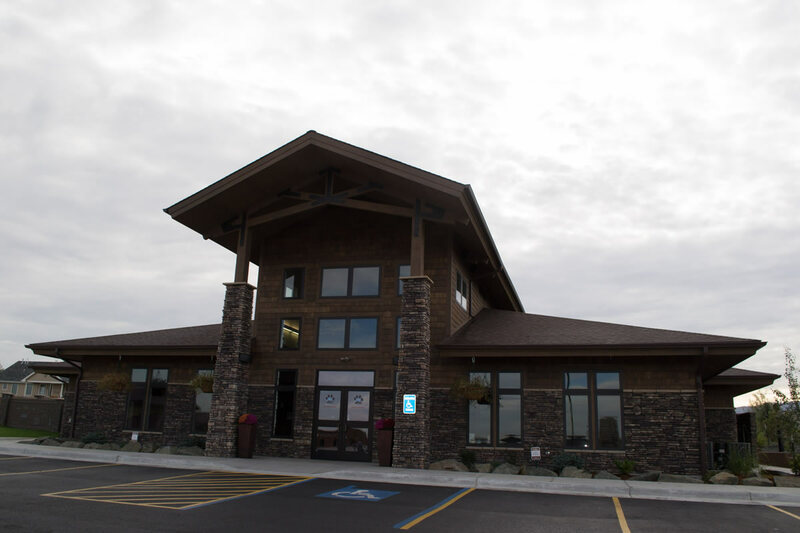 Our new facility is located at 1551 Centennial Court Casper, Wyoming 82609. 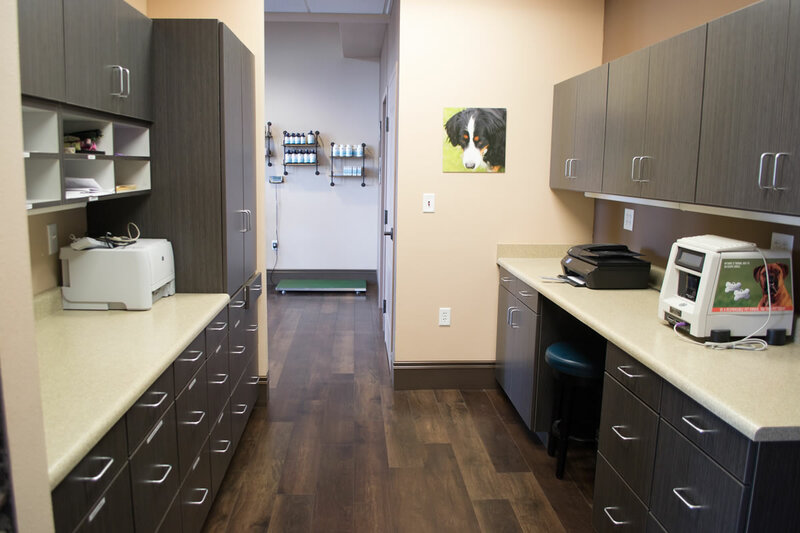 Our new veterinary clinic offers fantastic surgical rooms, a beautiful boarding facility and more. Take a tour with us to see what we have to offer. Drop ins are welcome but reservations are appreciated. 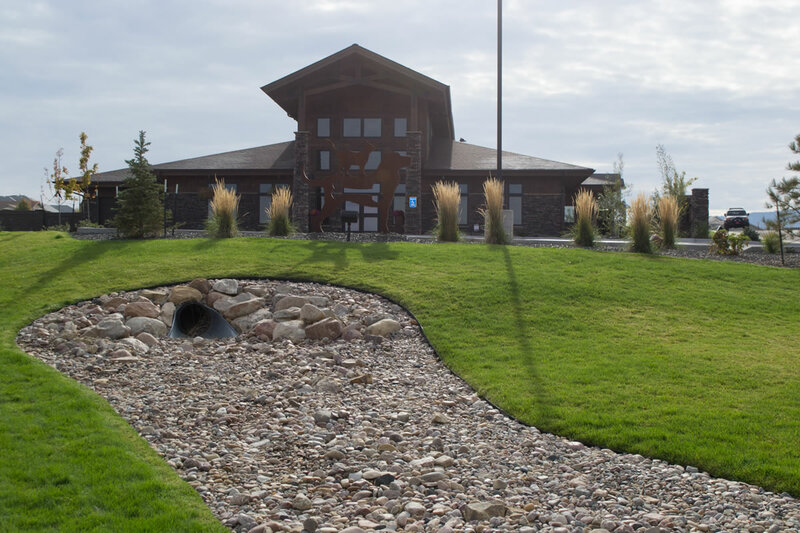 In December of 2014 we moved into our new facility at 1551 Centennial Court Casper, Wyoming 82609 on the east side of Casper. 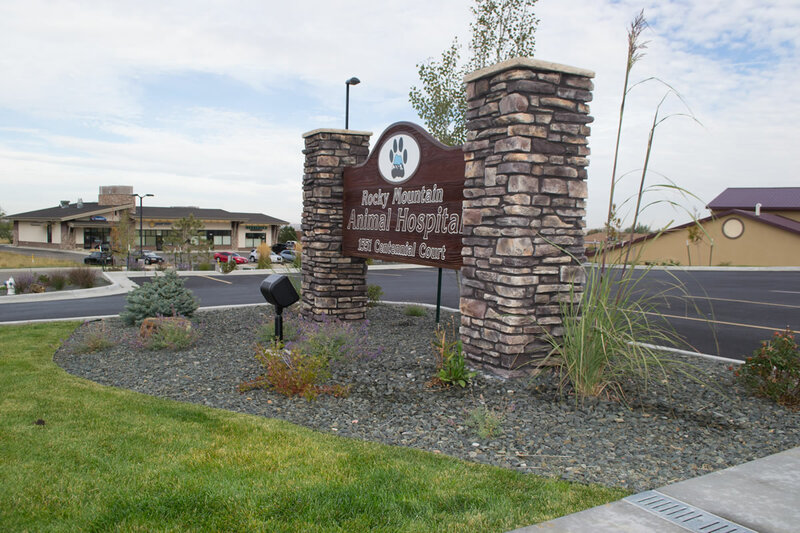 Our location features great grassy areas with lots of room. 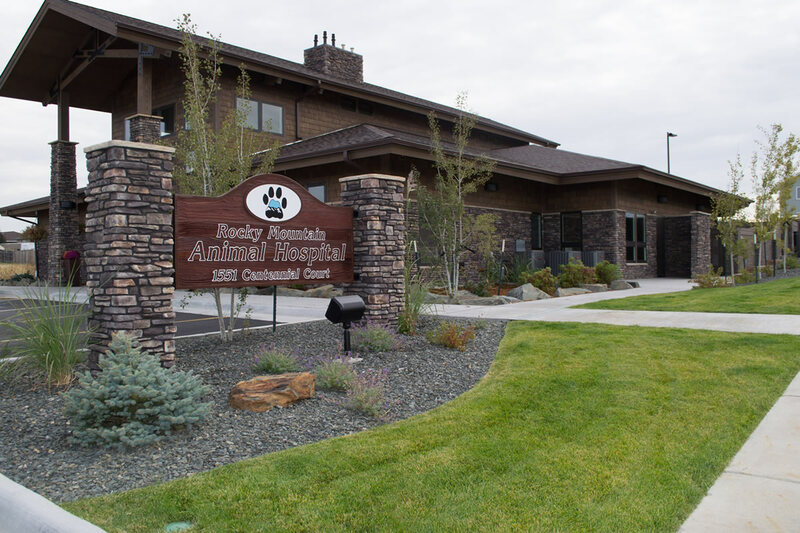 Our animal hospital is clean, modern and has easy access to parking making it easy to bring your companions from your car into the reception area. 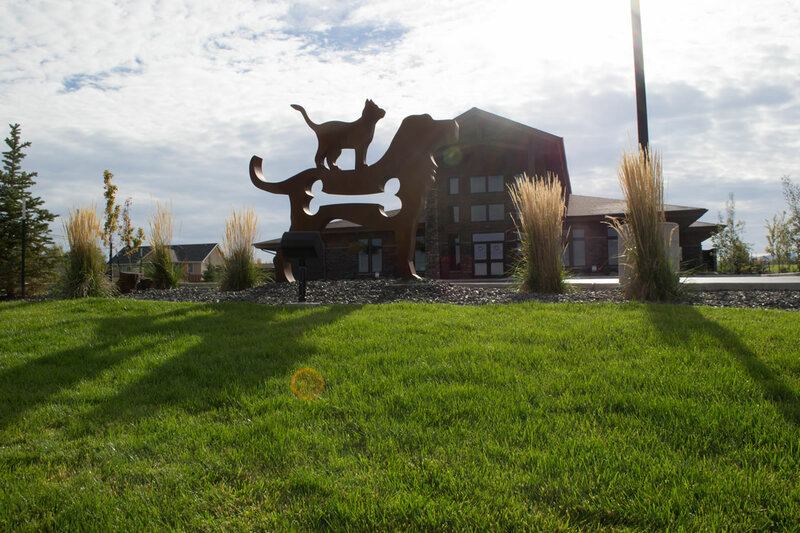 Be on the look out for our fantastic dog & cat statue marking the entrance to our location. We have convenient handicap accessible parking. 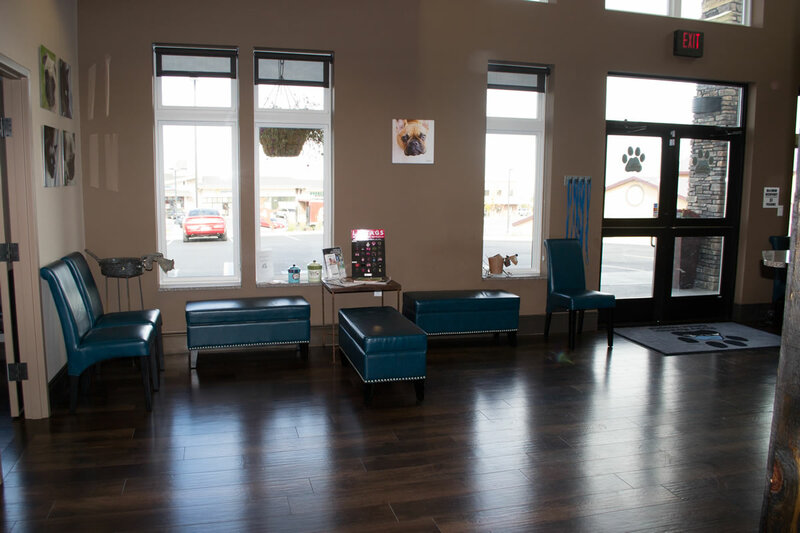 We know bringing your pet to the vet can be stressful so we made plans to make the transition from the car to the reception area easy and painless. We have parking right next to the entrance with no stairs or ramps to navigate. 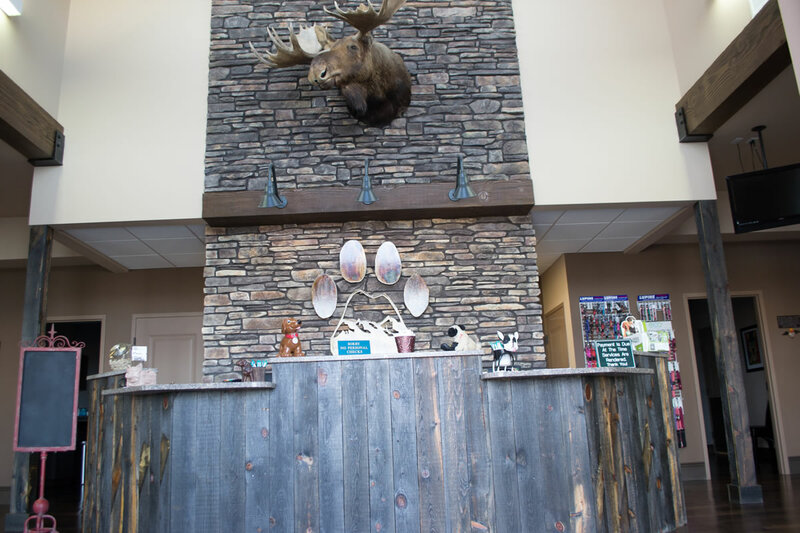 As you enter the front doors you will be greated at our reception area to have your pet checked in for his or her visit. All our medical records are kept digitally so we have a record of your pets history we can refer to. Our system makes checking in, getting records and getting prescriptions refilled a breeze. We had the comfort of our customers in mind when we designed our waiting room. You will find it clean, modern and comfortable for you and your pet. 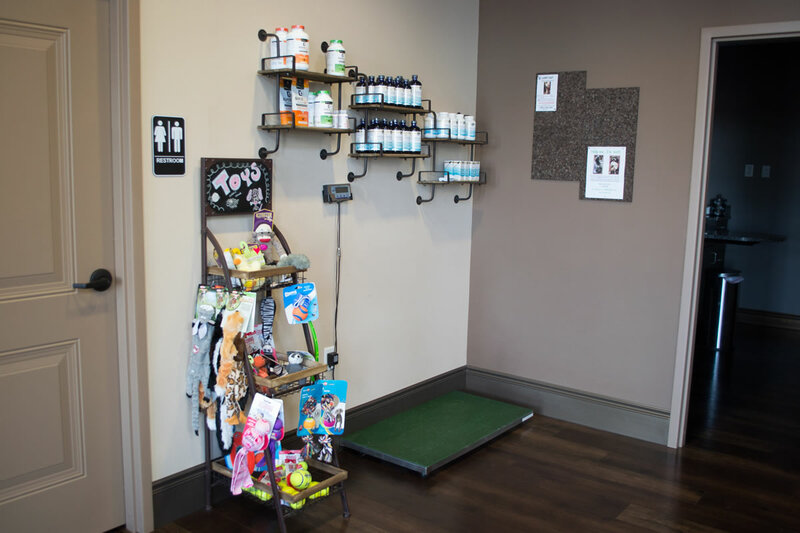 We also have a variety of vet approved retail items including leashes, collars, pet pill covers, shampoos, treats and medical supplies. We have pet toys and over the counter pet medical supplies available on-site for your convenience. 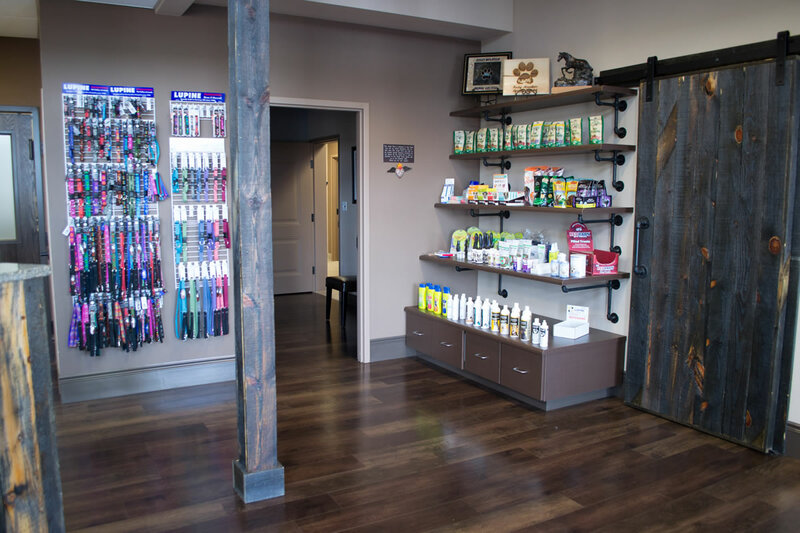 Everything you find in our pet retail areas are vet approved and from manufacturers we believe in. 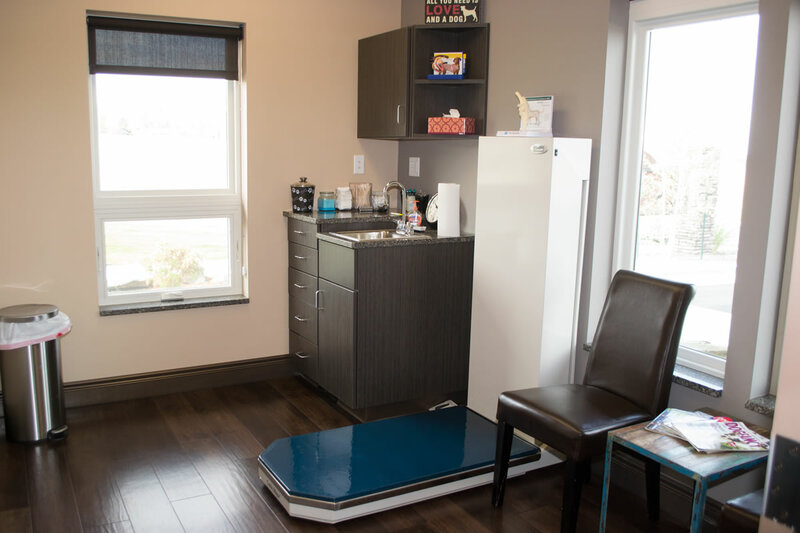 Our exam rooms feature electric lift examination tables so you don't have to lift your pet from the floor. You will always find our examination rooms clean and sterile. 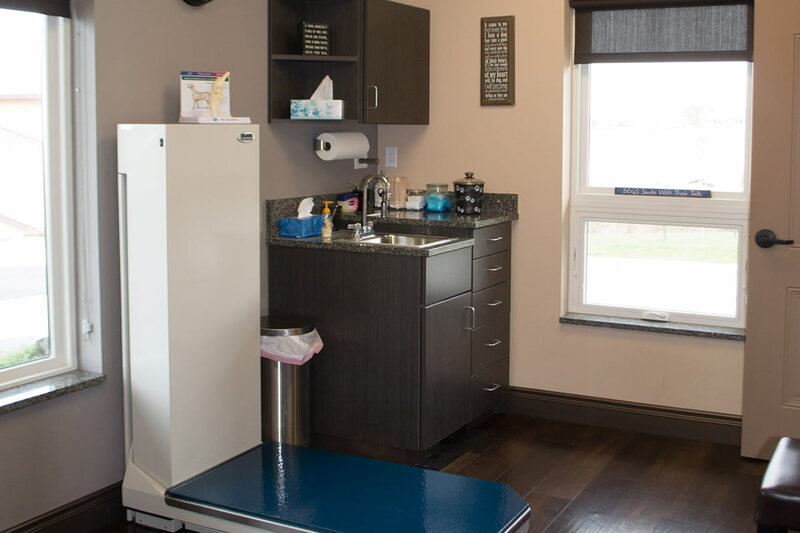 Our bright exam rooms are not only appointed with quality medical equipment; they are also staffed with caring and talented veterinary professionals. 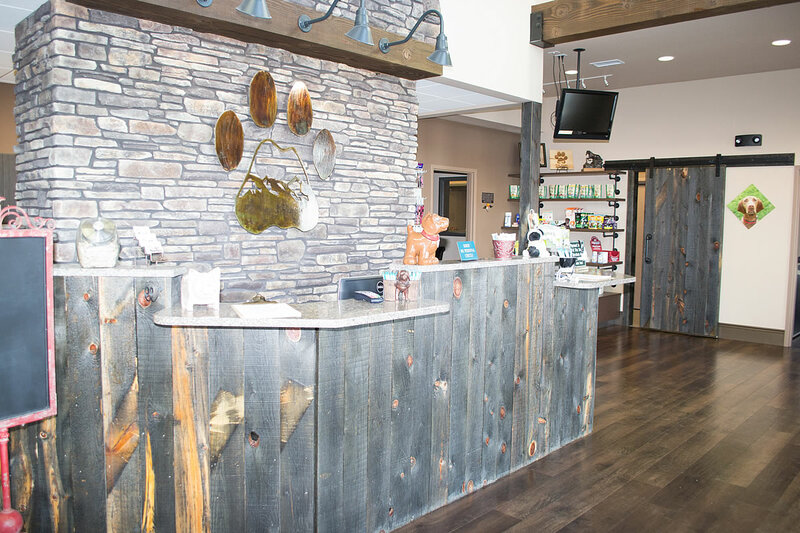 While we are proud of our facility, it is our medical care that brings us the most pride. While you won't spend your time here during your visit rest assured that our offices and testing areas are just as modern and well organized as our guest areas! 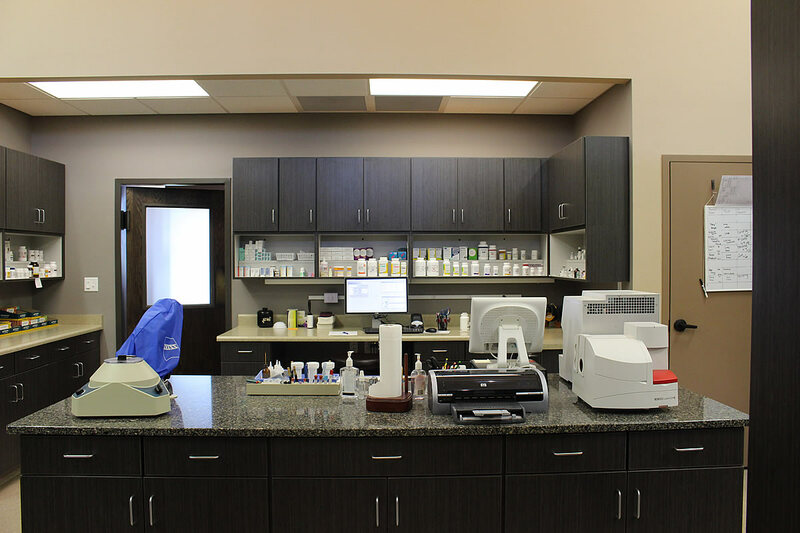 Our treatment and testing area. 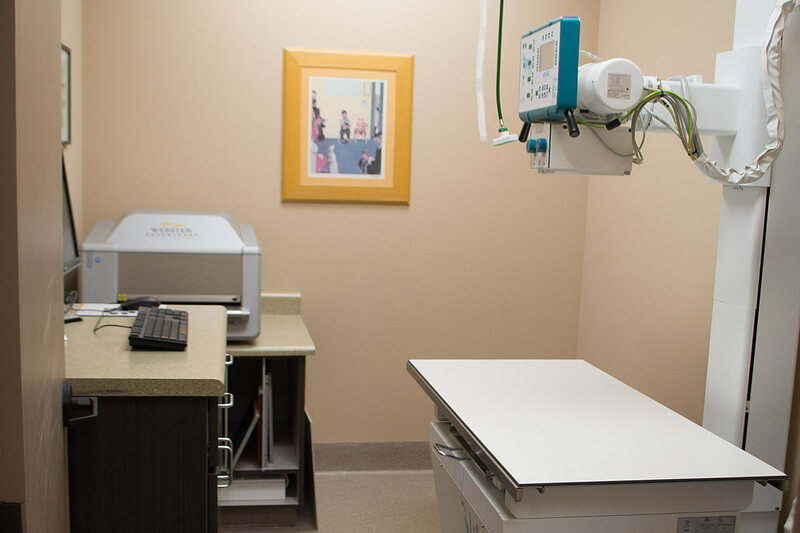 We offer on-site surgical services for your pets using the latest equipment and procedures. We also provide quality recovery & aftercare plans for you and your pet. 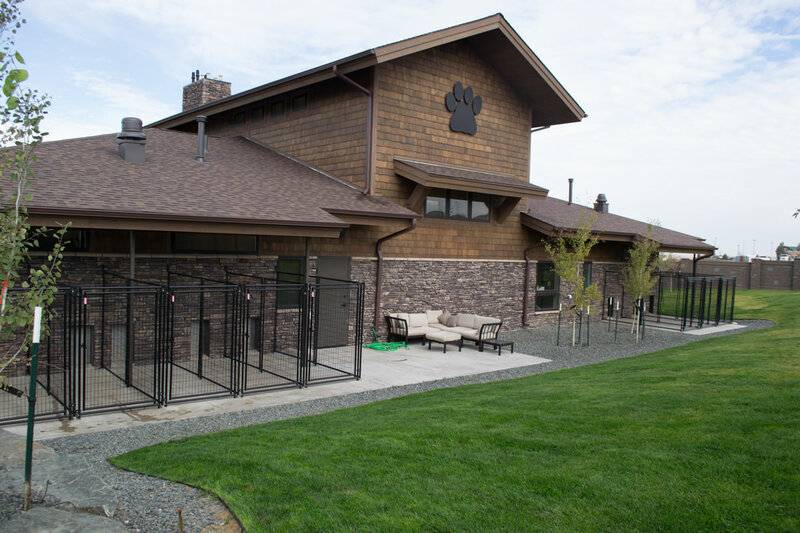 Our fenced back yard contains our indoor-outdoor pet kennels for pet boarding. When you travel you can be comfortable knowing that they are boarded at a facility with vets on-site should they need medical attention. 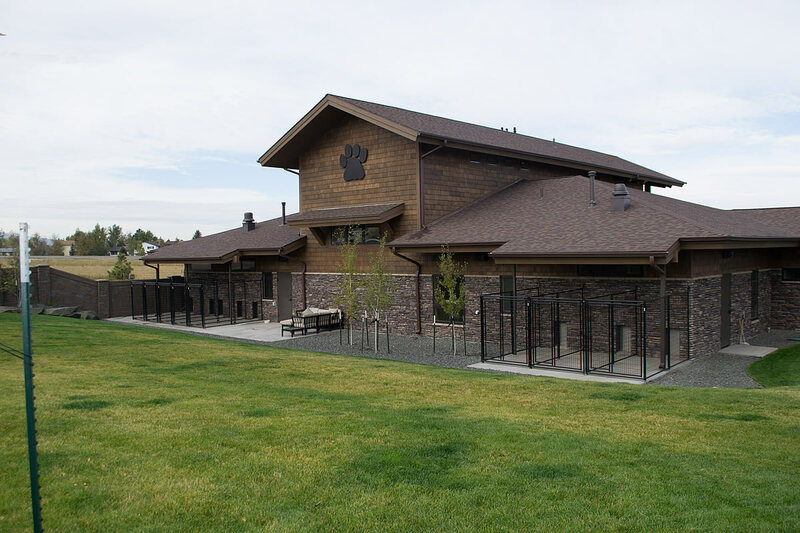 You can see that our outdoor kennel areas modern and well constructed. 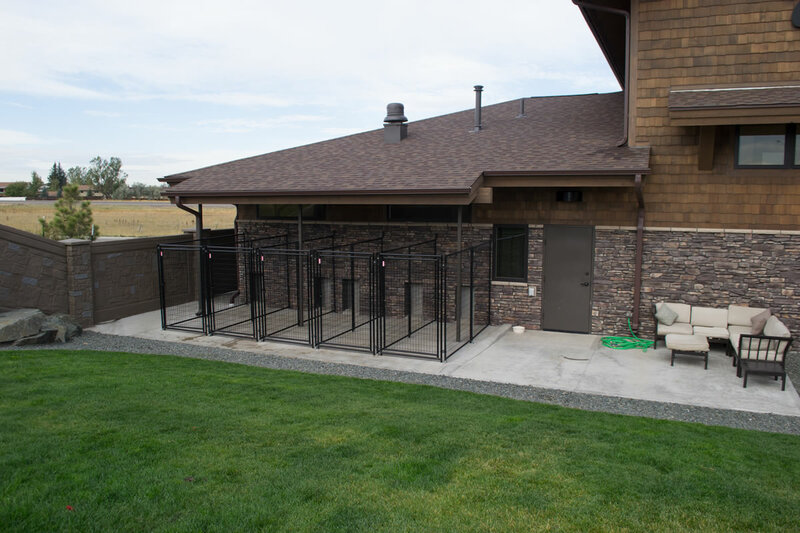 Since they are also enclosed in a fenced back yard your pet will be comfortable and safe. We have a variety of large indoor-outdoor runs for our boarded guests. 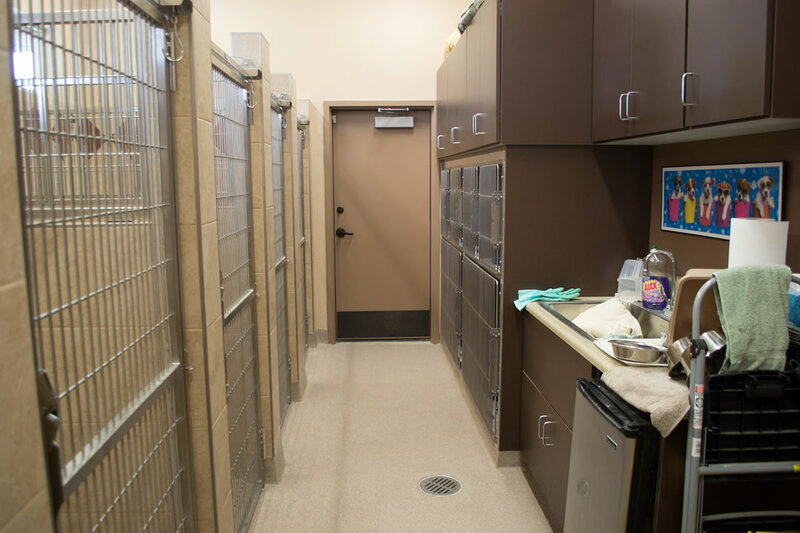 We provided top quality care for your pets with lots of attention and love when you need to be away. 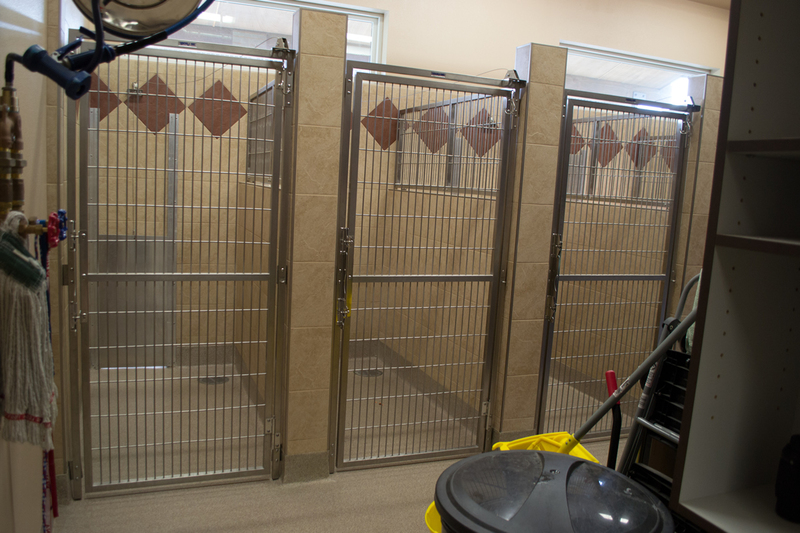 We also have smaller kennels for small animals or those who might prefer smaller spaces. Contact us for pricing and options.